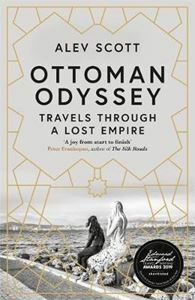 Quick overview A journey across the former Ottoman Empire reveals the legacy of its influence on people from the Balkans to the Levant, and the integral diversity threatened amid rising nationalism. Alev Scott's odyssey began when she looked beyond Turkey's borders for contemporary traces of the Ottoman Empire. Their 800-year rule ended a century ago - and yet, travelling through twelve countries from Kosovo to Greece to Palestine, she uncovers a legacy that's vital and relevant; where medieval ethnic diversity meets 21st century nationalism, and displaced people seek new identities. Faced by questions of exile, diaspora and collective memory, Alev Scott searches for answers from the cafes of Beirut to the refugee camps of Lesbos. She uncovers in Erdogan's nouveau-Ottoman Turkey a version of the nostalgic utopias sold to disillusioned voters in Europe and the U.S. And yet - as she relates with compassion, insight and humour - diversity is the enduring, endangered heart of this fascinating region.